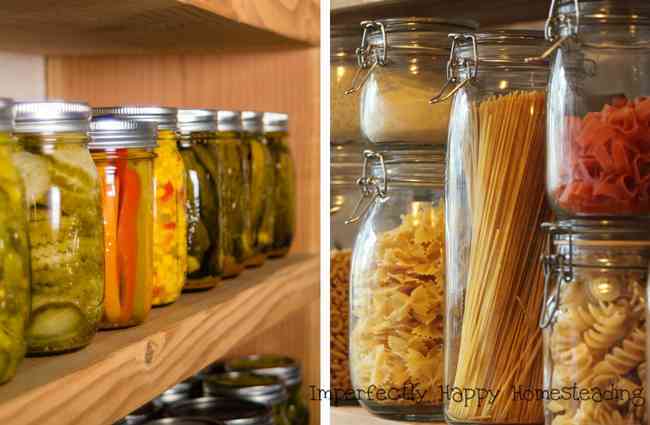 The perfect pantry or how to stock your cupboards for a raining day (or everyday). A lot of people calling this food storage or prepping but for me, it is just good ‘ol common sense. A well stocked pantry can get you through your daily cooking, sure, but it is also a place of refuge during hard times (like a layoff). So I’d like to share a few tips on how to stock your cupboards that have helped me over the years. Before we get started on how to stock your cupboards, let me say that I am not assuming that you are shopping or canning. However you decide to buy, grow or DIY your pantry items is up to you. I think the principal is the same whether you are buying it all or growing and preparing it all yourself. Do you yearn for an organized homestead? 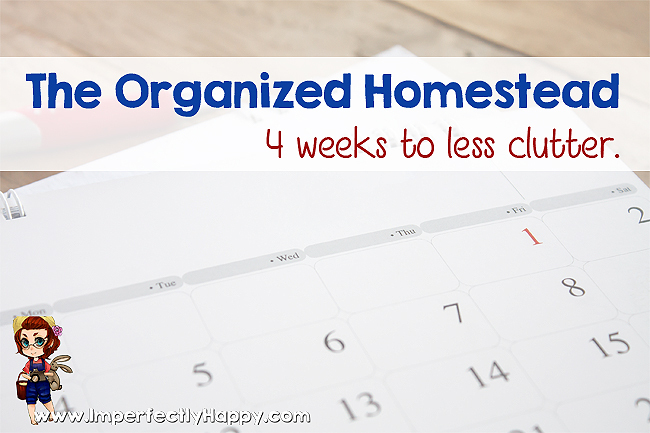 What if I told you that 4 weeks from now you could have less clutter? Even better – you can in your 4 weeks to less clutter, you won’t have to ignore the rest of your life to accomplish it. Crazy, right? I don’t know many people that can say they have no clutter in their house. 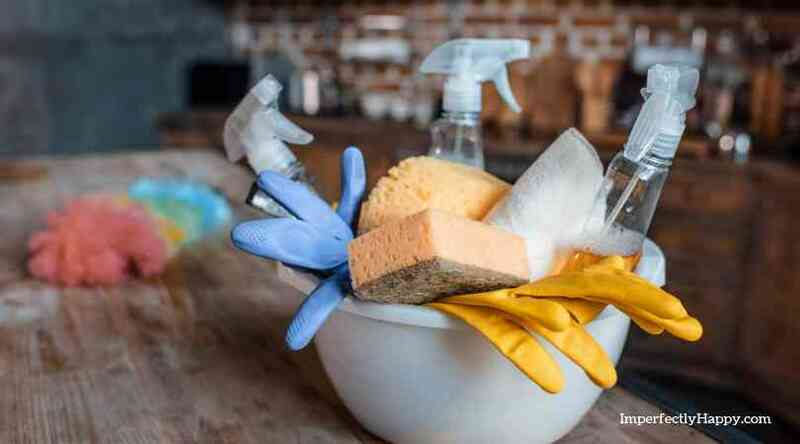 Most of my friends, homesteaders included, regularly complain about cleaning, organizing and de-cluttering their homes and lives in general. But the biggest hurdle is an easy plan to accomplish the task. I have one! Anytime I see that the “stuff” is overtaking our lives I use this simple plan and BOOM, less clutter. You are going to need 4 weeks to get ‘er done folks. But better to start today than next week. Let’s make a plan. Each week we are going to purge certain items from our mess. You can do this! I’m a pack rat by nature; if I can do it, anyone can.